Brands are cottoning onto the idea that they can use smart products to continue a relationship with consumers after purchase, writes Daniele Fiandaca, co-founder of Creative Social. One of my favourites quotes is from James Wallman, author of Stuffocation. " 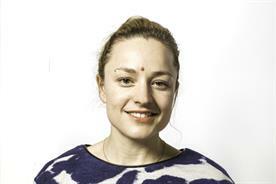 We are moving from a world of materialism to one of experientialism." If it's true, that's great for brands who deliver experiences, and not so great for those brands who see themselves as a product-based business. The good news however, is that technology is opening up new opportunities to deliver a different kind of experience to their customers and to build a deeper, more fulfilling relationship. One of the key drivers is the Internet of Things. Perhaps the best example of this at CES last month was the announcement that Samsung has developed a fridge that takes a photo every time you close the door. Up until recently, the connected fridge has been held up as the best example of a ‘useless’ Internet of Things device. But finally Samsung has stumbled onto something that is pure genius. No need to wonder what is in the fridge. The best bit is that you can simply open the Samsung app (which you are hopefully reading on your Samsung phone) to get this information, thus reminding you with every click, how Samsung is making life easier. 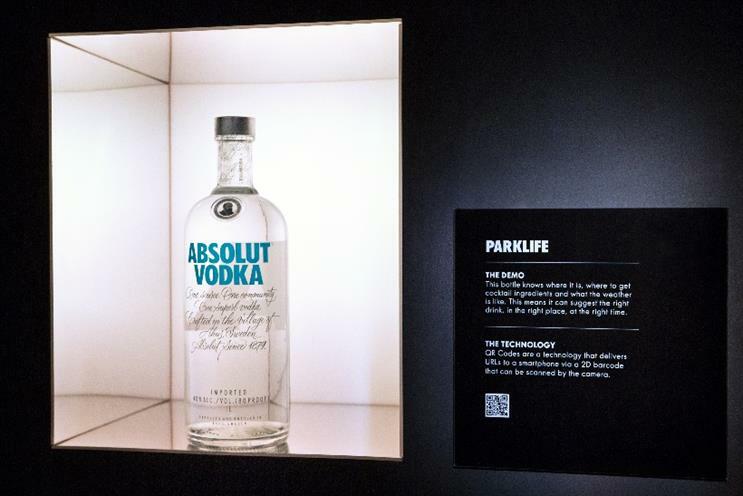 It is something that brands like Absolut are currently investigating and we recently briefed some of the leading agencies in the world to redefine the iconic Absolut bottle for a connected world. The results were fascinating. The winner was ‘Absolut Connection’ by Huge, which was designed specifically to boost the interaction between the gift giver and the recipient. The cap senses when the bottle is being opened, emitting a joyful sound or pre-recorded custom message. 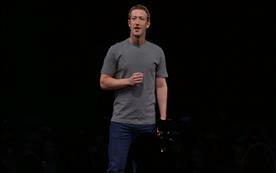 The cap contains a small circuitry that gives out sound and connects to a mobile device wirelessly via an app. Another innovation, Absolut Capp by Media Monks, helps ensure that vodka is served at the perfect temperature. Sealed with an intelligent cap, the bottle provides continuous feedback on the temperature of its contents. The cap contains a low-energy Bluetooth controller, temperature sensor, and LEDs. The transparent design allows the colour of the LEDs to diffuse throughout the cap as well the rest of the bottle. 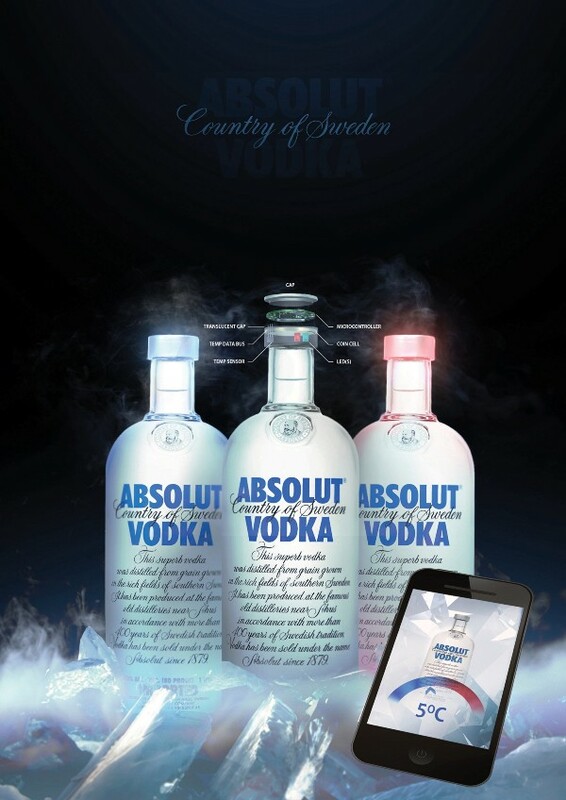 A third idea, Absolut Cap, designed by Plan.net, consists of beautiful and robust hardware to be mounted permanently on top of the Absolut bottle neck instead of the regular cap, containing flow, gyro and temperature sensors, a lock and a bluetooth chip, as well as a smartphone app. 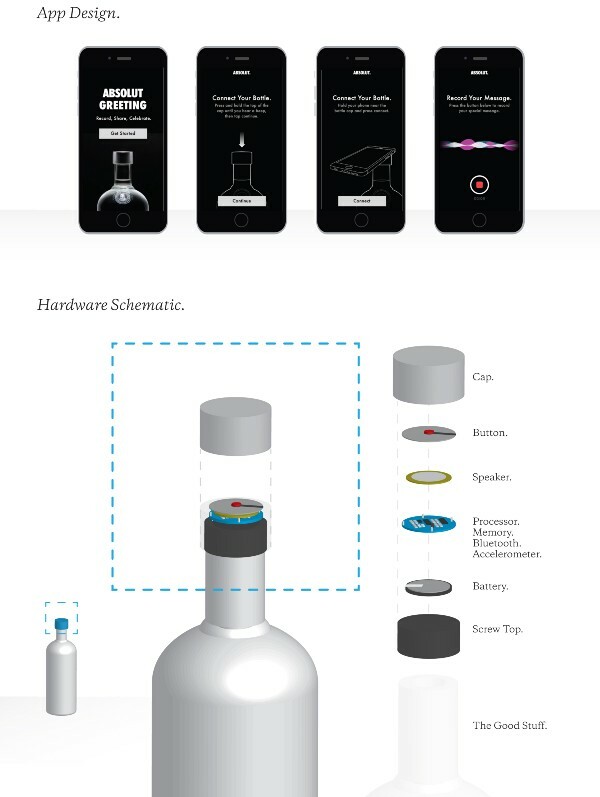 Features include Live Pour, showing the volume poured for precise drink mixing; recommending matching drinks in real time; Shot Check, which allows you to check the temperature by simply turning the bottle on its head and Launch, which allows you to connect your cap to other devices and trigger actions like playing your favourite song or dimming the lights. RazorFish put forward the Absolut CapLock, which uses a smartphone’s TouchID technology and NFC to detect and respond to the drinker’s fingerprint. By syncing with a smartphone after the initial purchase, the bottle cap is registered to that device. To unlock, a customer holds their phone near the bottle cap with their finger on the TouchID. Screwing the cap back on locks the bottle again. 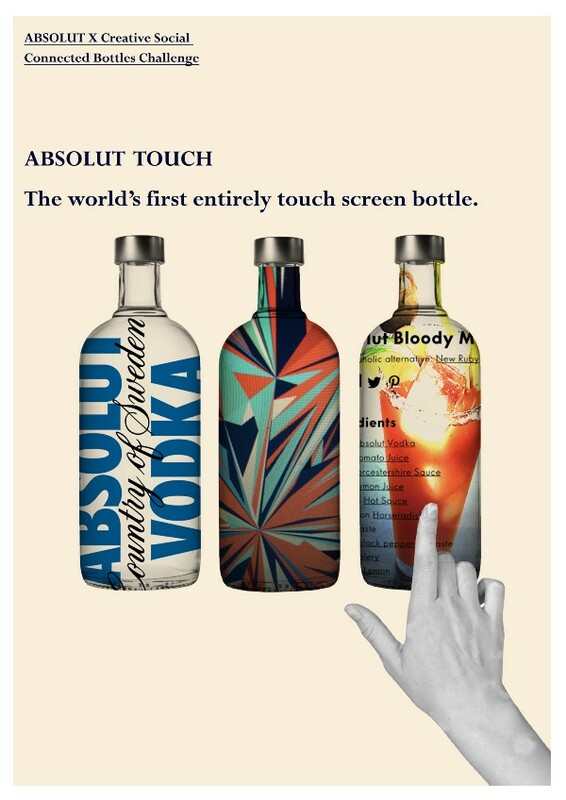 And finally, Flo Heiss’ Absolut Touch is an entirely touchscreen bottle. The Wi-Fi connector, charge socket and battery are located in the glass bottom. Absolut will make 100 of these ‘full screen’ bottles for on trade and key influencers. Virtual touch buttons on the bottle activate the Wi-Fi connection, display location, time and weather aware recipes, cocktail recipes and also will message the consumer at key times in the day. All of these examples show how smartening up a dumb product can lead to an ongoing relationship between brand and consumer. While not all ideas may be possible just yet, the most progressive brands are the ones that are constantly testing what is possible thanks to technology and while they may not in the short term always get it right, like Samsung fridges, they will eventually find something that is truly useful. 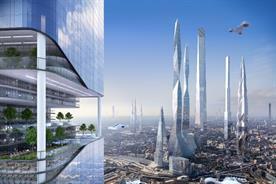 What will life look like in a century's time?